1. Sculptural yet feminine. The Dice Kayek Haute Couture FW14 collection was a beautiful display of wearable origami. 2. If lashes were whiskers. 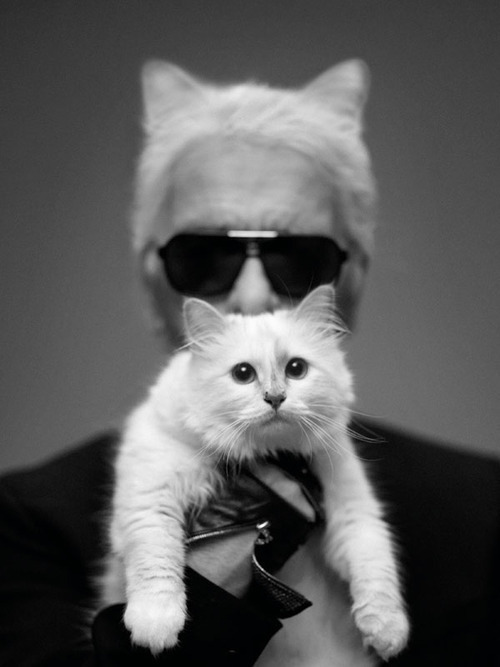 Karl Lagerfeld’s big-deal cat Choupette is the new face of Shu Uemura’s ad campaign. 3. Listen to Grimes’s collaboration with Bleachers, “Take Me Away”. 4. Listen to brother duo Hippie Sabotage’s remix of Charli XCX‘s “Boom Clap”. 5. 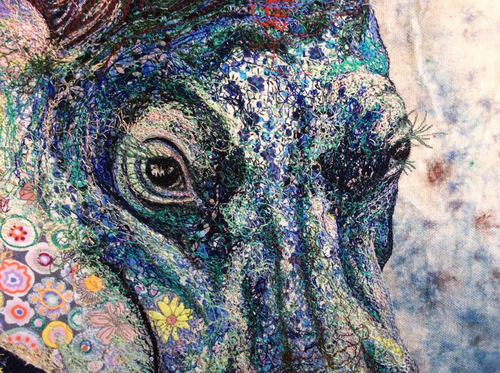 Artist Sophie Standing creates her colorful textile collages by painting or sketching on fabric before adding texture via decorative fabrics from her travels.